According to Variety, Lady Macbeth, which debuted at the Toronto Film Festival to strong reviews, has been acquired by Roadside Attractions. The film is not a Shakespearean drama but rather is based on the Russian novella Lady Macbeth of the Mtsensk District, written by Nikolai Leskov in 1865. 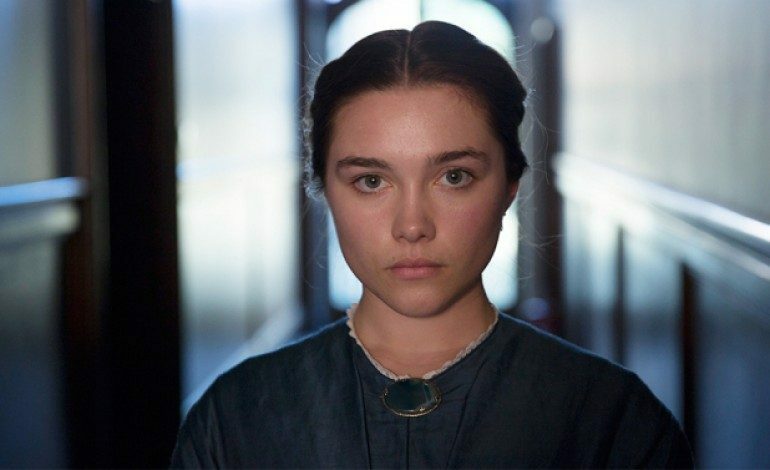 Florence Pugh (The Falling) headlines the indie. The story, set in 19th century Europe, centers on a young woman sold into marriage to an older man. Christopher Fairbank (Orthodox) and Cosmo Jarvis (The Habit of Beauty) co-star. William Oldroyd, in his feature film directorial debut, helmed from a script adapted by Alice Birch who also makes her feature film screenwriting debut. Lady Macbeth was produced by Fodhla Cronin O’Reilly.